Hardwell kicks off his brand new documentary, I AM Hardwell – Living The Dream, during the Amsterdam Dance Event this October. 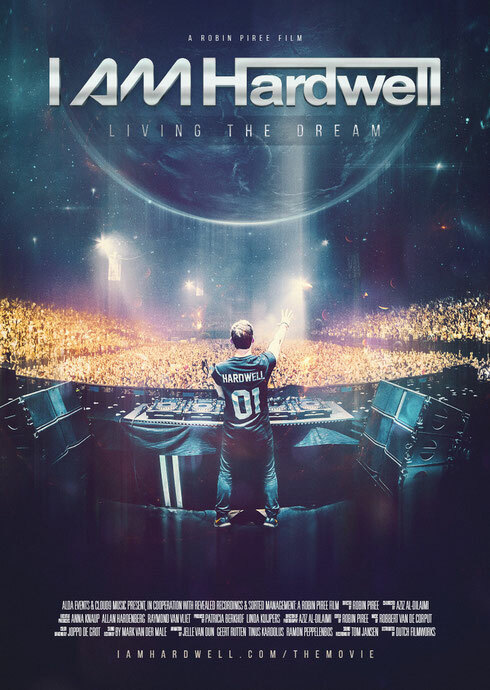 Directed by Robin Piree, who also made the documentary I AM Hardwell in 2013, this film follows the two-time #1 DJ in the World during his ‘I Am Hardwell’ concert tour as he visits 34 cities around the globe. The official red carpet premiere will take place on 13 October at the famous cinema Pathé Tuschinski theatre in Amsterdam. The film starts with the 27-year-old Robbert van de Corput working on new musical ideas in his studio, followed by mass hysteria in Delhi and footage of his concert shows, where thousands of people worldwide shared in the music of his show. Adding to his musical output, he will release a brand new Hardwell remix-album on 13 November on Revealed Recordings. The album titled ‘United We Are - The Remixes’ features remixes of Hardwell’s original studio album ‘United We Are’, which was released at the beginning of 2015 and entered the #1 chart-position in over 20 countries. Many soon-to-be-named producers took the chance to remix one of the 14 tracks each.